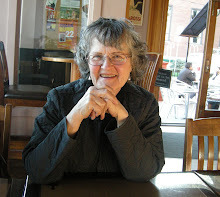 This time of year I feel almost giddy from an inner propulsion to go outside and work in the garden, whether or not the weather allows me to be outside, and whether or not there is any gardening to be done. Of course, always, always, some kind of gardening is waiting for me. Here, in our place where we have now lived for one year, the whole back yard and the once-upon-a-long-time-ago flower garden along the back fence are totally overgrown by Star of Bethlehem. A search on the internet gave me the Latin name of this stuff - ornithogalum umbellatum - and tells me it is very invasive, as if I needed to be told that. 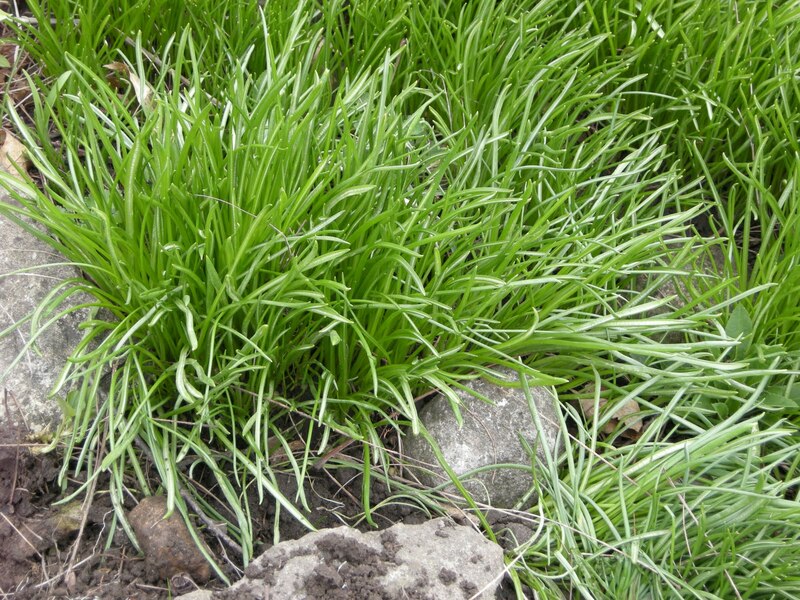 I suddenly realized the short form of Star of Bethlehem is SOB - how appropriate! The only way to get rid of these SOBs is to dig them up and throw out the clumps of bulbs and growth. The biggest clumps are about a foot across. 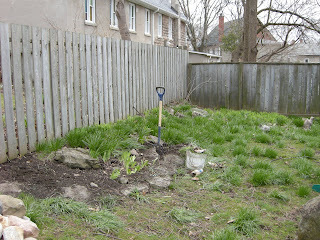 During the rainy week that was, any time we had a bit of a break from the rain, I began digging out the clumps of SOBs. 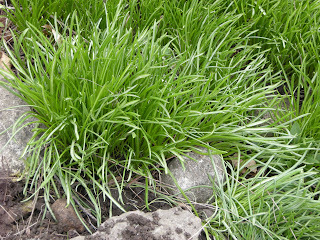 The big problem is that the clumps include babies, tiny bulblets deep in the soil, smaller than green garden peas. It is impossible to find all these babies, which means they will grow wherever they happen to be. I must work at digging for short periods, ideally no more than half an hour at a time, because my knee joints are worn and become too uncomfortable with such jobs as digging, so after each stint I do my stretching exercises. I’ve long known that I can accomplish a lot by working a little at a time. I love this digging, and am enjoying the way the dark friable soil yields to my garden fork. Andrea, my garden helper, is at the ready to help me as soon as there’s an evening or weekend without rain. 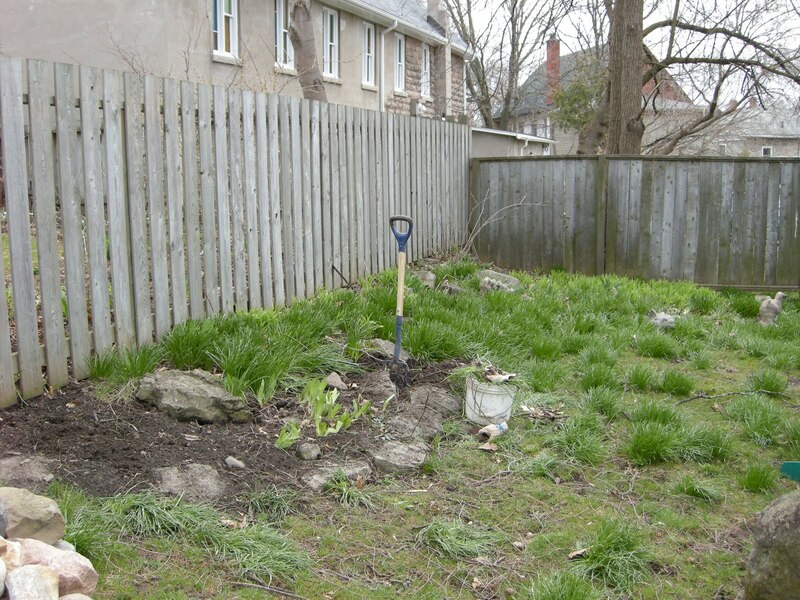 Meanwhile I can’t resist the call of the garden fork and the SOBs, and I enjoy seeing the expanding clear space, which will be ideal for hostas to grow among the great rocks that people placed there a long time ago. I thank them for the rocks. A bit of clear space! A WORD OF ADVICE. DON'T BE SEDUCED BY THE LOVELY WHITE STAR-SHAPED BLOSSOMS THESE BULBS YIELD. IF YOU PLANT THEM ANYWHERE, THEY WILL INVADE AND TAKE OVER EVERY INCH OF YOUR SOIL! I love the new name you gave them!